Client: Staatsolie Maatschappij Suriname N.V.
Role of WEP: WEP is involved in a major part of the project. The main activities are implementation of the Well Delivery Process, Well engineering (designs and programs), Overall Drilling and Project Management. WEP is involved in an extended exploration project of Staatsolie (national oil company of Suriname). 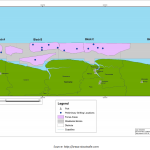 The rationale of the Project is to explore hydrocarbons within the Nearshore area of Suriname and moreover attempt to identify and quantify the presence of hydrocarbon reserves which can be developed commercially by Staatsolie. 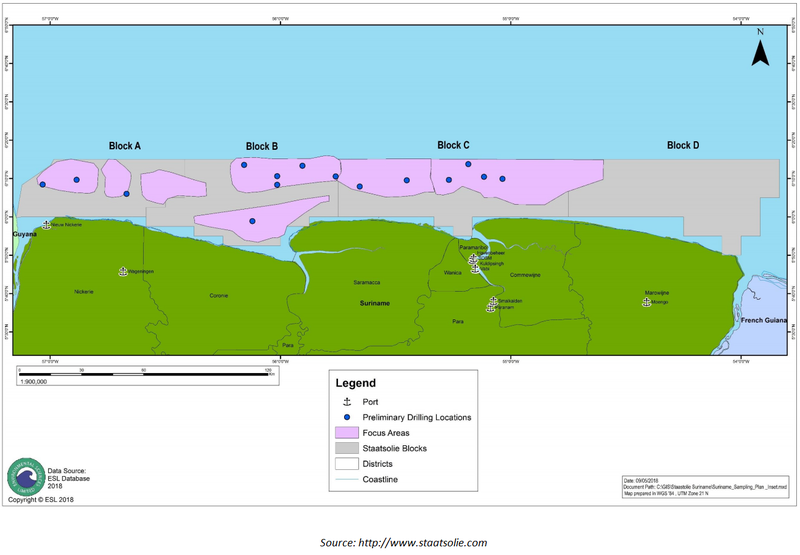 Staatsolie has identified 5 focus areas within Blocks A, B, and C, where drilling will be targeted based on 2D and 3D seismic surveys. Within these focus areas, 15 preliminary potential drilling locations have been identified of which Staatsolie intends to drill 10. Seven of the 10 wells will be shallow (700 – 1500m) and the other three will be deeper (2400 – 2700m). WEP started its support with the delivery and implementation of the Well Delivery Process. WEP made the well designs in close cooperation with Staatsolie staff. From September 2018 on WEP’s support to the project has been intensified by providing a full-time Drilling Manager who is stationed in Suriname. WEP’s Drilling Manager will manage the further engineering phases and the drilling operations. He will be supported by WEP’s engineering staff in the Netherlands. During the Operational phase, WEP will provide Drilling Supervisors to supplement the Drilling Team.